Heat transfer and water vapor transport measurements performed at three laboratories using the "sweating" guarded hot plate apparatus were standardized based on the International Organization for Standardization (ISO) International Standard 11092. Comparison testing was conducted on four standard military uniform materials. The adherence to ISO 11092 resulted in good agreement among the three laboratories between measured values of thermal resistance and water vapor resistance for the four materials. Factors influencing the accuracy of the test method are also discussed. The sweating guarded hot plate instrument, simulating the heat and moisture transfer from the body surface through clothing material to the environment, was designed for the measurement of thermal resistance and water vapor permeability of fabrics, relating to comfort characteristics of the garment. A number of factors govern the accuracy of the measurement, namely air velocity, leading edge effect, bubbles and wrinkles, membrane effect and so forth. The sweating guarded hot plate apparatus provides reproducible and repeatable results. 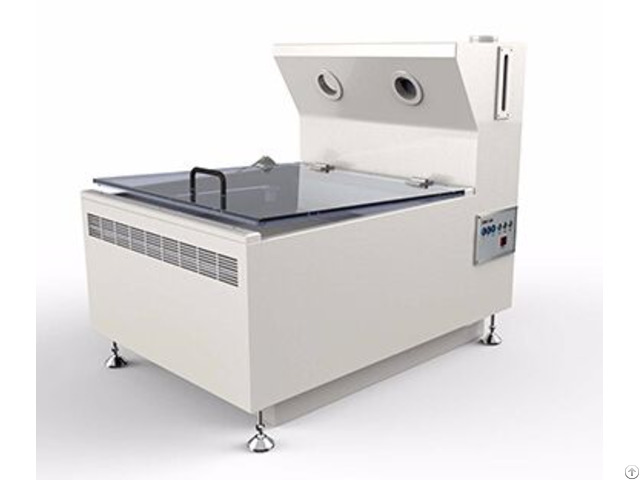 This steady-state testing equipment, however, needs to be redesigned to assess the characteristics of fabric to transport heat and moisture under transient conditions. The heat and water vapor transfer properties of textile fabrics are dominating determinants of thermal comfort of the wearer. The thermal resistance of a fabric represents a quantitative evaluation of how good the fabric provides thermal barrier to the wearer. The water vapor resistance of the fabric is a critical property for a clothing system which must maintain the human body at thermal equilibrium for the wearer. Clothing, an intermediate medium between the skin and the ambient conditions, with high water vapor permeability allows the human body to provide cooling due to evaporation. At high activity levels or in hot environments, the thermal resistance value alone is inadequate for characterizing and comparing clothing systems. Evaporation of sweat becomes an important avenue of heat loss. In addition, high water vapor permeability is of importance in cold environments to minimize water accumulation in clothing, which leads to an increasing sense of discomfort. Therefore, both the thermal resistance and water vapor resistance of fabrics are required to assess the heat exchange of the human body with the environment, and are related to human perceptions of comfort. The guarded hot plate instrument, invented in 1898, is now undoubtedly recognized as the most accurate technique for determining the thermal conductivity of insulation materials. The sweating guarded hot plate is able to simulate both heat and moisture transfer from the body surface through the clothing layers to the environment. It measures both the thermal resistance (insulation value) and water vapor resistance of fabrics.